Communication Hardware - Versilis inc. The SwiftSign automated advance warning sign and the SwiftGate automated warning gate can be operated and monitored using a handheld remote control and/or using hardwire communication components. Both methods allow a user to operate and monitor the signs and the gates at any time. 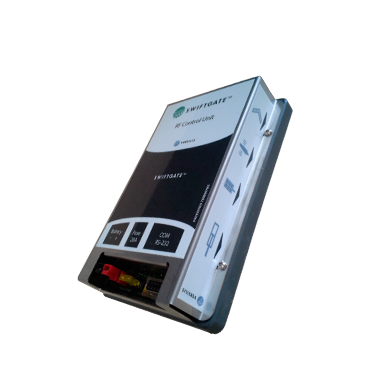 A Control Unit is located in each SwitSign and SwiftGate module control box. This controller holds the battery charging logic and the LED light power management & flashing logic. It is also responsible for the actuator power control. Equipped with an RS-232 interface, it can be connected to a Versilis RF Antenna for an RF solution, or an RS-485 converter for a wired solution. The Commander is designed to control and monitor multiple SwiftGates and SwiftSigns and offers various communication ports to interface with existing ITS infrastructures. The Commander is equipped with a sequencer, an Ethernet port, 8 digital inputs, 8 outputs, an SD card slot and a SwiftGate/SwiftSign communication port. 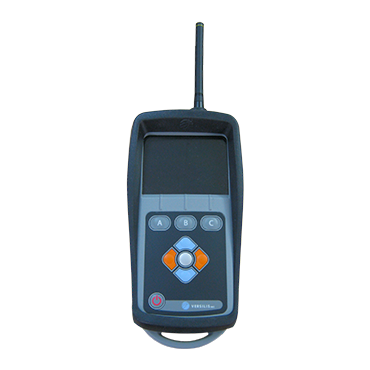 The RF handheld remote is used to deploy, retract, and monitor the SwiftSign and/or SwiftGate using a wireless antenna. The remote control can also be used to configure other communication hardware components such as the module controller and the commander. A single remote control can be used for different job sites. 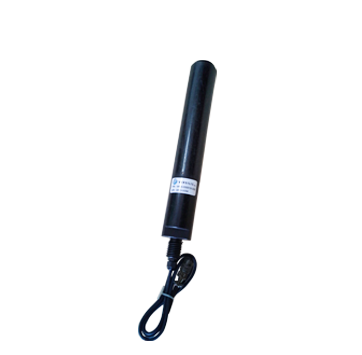 This modem Antenna is a wireless communication interface for the SwiftSign and SwiftGate system. 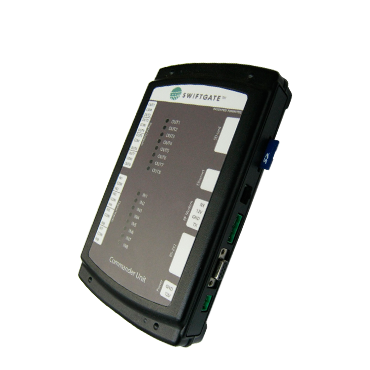 The Antenna is equipped with an RS-232 or RS-485 interface and a modem to provide wireless communication for SwiftSign and SwiftGate system. The frequency band is ISM (902 to 928 MHz) and the FCC ID is Q7V-3F090008X. 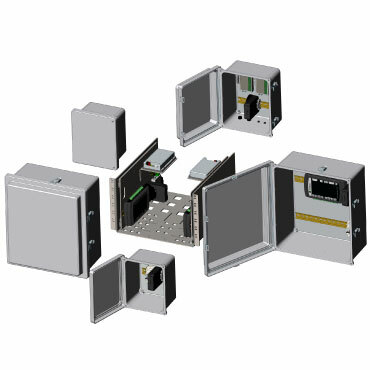 The Power and Communication Cabinet is an enclosure specifically made to adapt power and communication with the Versilis SwiftSign, SwiftGate and Control Unit. The Power and Communication Cabinet is assembled according to project requirements. The necessary project specific content dictates the shape and size of the enclosure.